Marcin Noga is a professional photographer and owner of Noga Photo Studio Ltd. – a company providing commercial interior and architectural photography. 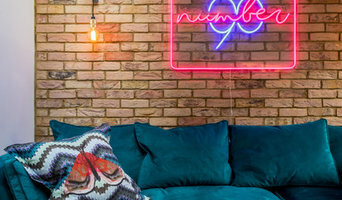 Working with his team, Marcin has photographed over twenty thousand places in London and abroad, and has collaborated with many award winning architects and interior designers, such as Matthew Williamson, Barbarella Design, Tessa Ashley-Miller, Mikko Laukkanen and Reema Laroya. Marcin has also been involved in numerous creative and artistic projects: photo shoots for Festival de Cannes, Drill Hall Theatre, Hackney Museum, Twickenham Film Studios, Michel Nyman Band). His photographs have been published in several books and magazines including Vogue, International Cannes Dailies, House Beautiful and Televisual Magazine. Marcin has held solo exhibitions in Poland and New York and his work is now represented through notable London galleries. Marcin has an MA degree in art history and heritage preservation, which has given him a deep interest in architecture & urban developments. Marcin is a Londoner from a Polish background, who works from his studio in Hackney. Marcin has an MA degree in art history and heritage preservation, which has given him a deep interest in architecture & urban developments. Marcin is a Londoner from a Polish background, who works from his studio in Hackney. Freezing the time and capturing the moment, drawing with light and creating something beautiful, or documenting life as it is, without any artificial embellishments. The sound of the camera shutter always makes Elina smile and focus. •Masters Degree in Fashion Photography (University of Arts London, UK). •BA degree in Audio-Visual Media (Baltic Film and Media School). Happy to have over 10 years of experience and amazing clients like TopGear magazine, Dove, Deliveroo and Airbnb. Featured on Houzz, Best of Houzz '17, Best of Houzz '18, featured in Airbnb style guide '17. Looking forward to working with you! 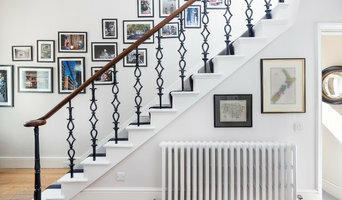 I have been photographing interiors and exteriors of buildings for over 10 years. 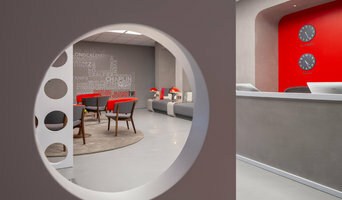 As such I have vast experience working with a variety of regular clients including Architects, Interior Designers, Marketing Companies, Developers, Designers, directly with brands, and a number of high profile private public figures who use me for my professionalism and where appropriate extreme privacy. I am fully dedicated to the art of photographing architecture and I choose to solely work in this field. I’m very proud and flattered to be recognised by many that know my work as a specialist. As well as enjoying the strong lines, curves, and symmetry in modern buildings, I am told by clients that I am the ‘go to’ person for darker or more complicated structures like converted barns. After photographing buildings professionally for so long I really enjoy a challenge. I respect each job and allocate enough time to capture it properly. That way I can investigate a space and come up with solutions and new ways of doing things that keep me excited and on my toes, and also gives my clients something they have not seen before. 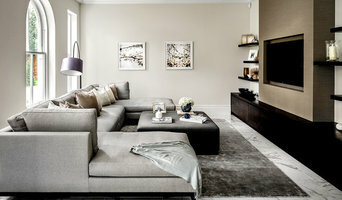 I am a London based photographer who specialises in interior and architectural photography. My clients range from high end established real estate agents, developers, interior designers, commercial business' and architects. I have been photographing professionally for 13 years, have worked internationally and for a variety of clients. Tamas Toth is a freelance photographer/retoucher based in London. (Studied photography at London College Of Contemporary Arts) His former studies in art and graphic design give him superior retouching skills and raise him above the crowd of photographers. For magazines, designers, estate agents and even vendors the interest created by appropriate and high quality imagery is priceless. In today's media driven world images are a part of your identity and often the first impression of any business. Stylish and inviting images are the key to the positive judgement of your brand. Boz is a London based freelance photographer passionate about capturing spaces and objects in a creative and natural manner. With a keen eye for beautiful light and interesting composition, he is always aiming to reflect the mood and atmosphere of any place and create an appealing visual story. 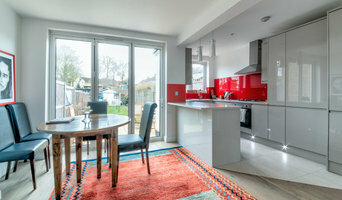 I'm an architectural & interiors photographer with a great deal of experience shooting London extensions, lofts and entire house renovations as well as interiors and architecture in the UK and abroad. I bring a contemporary and elegant aesthetic to all my work and love to capture architecture & interiors looking their best and reflecting their owner's taste and personality. Seasoned Interior and Architectural Photographer with an extensive history of working alongside luxury brands in both the Residential and Commercial industry supplying high-quality imagery to interior designers, architects, developers, furniture and textile designers and luxury brands. My focus is on producing refined, true to life photography that reflects the beauty and aesthetic of every environment I capture so that others around the world can experience it as if they were there in person. My clients choose me for the fact that I treat every project with the same high standard of professionalism, attention to detail and quality which is, and should always be a standard in this industry. With over twelve years of experience, I have developed a workflow which allows me to create extremely high-quality work that my clients have the utmost confidence in using for all of their editorial and marketing purposes. Peter has a great enthusiasm for design and a critical eye for detail, which he uses in the making of effective images that are sensitive to the visual, spacial and atmospheric qualities of his subject matter. Professional Photographer based in the South of London, passionate about creating striking imagery. Creatively and intuitively approaching each new project. I am a photographer and editing specialist, meaning that what ever the conditions of the weather or the project, the images I produce will always be delivered as top quality and as desired.